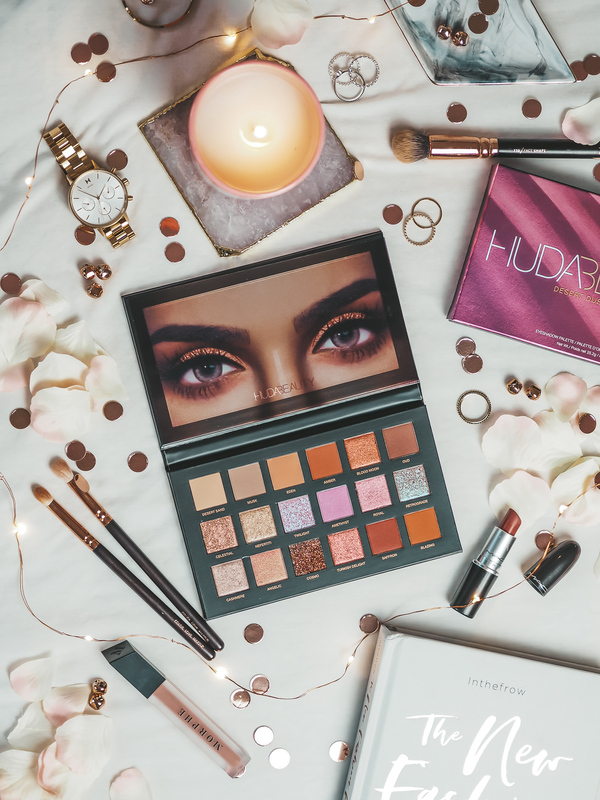 Introducing my new fave palette… Huda Beauty’s Desert Dusk. I remember seeing this palette online back in May. I’d seen it and knew I needed it in my collection, but I simply couldn’t part with £56. I then flew off to Prague thinking perhaps the exchange rate would play in my favour. Seeing it in flesh I fell in love with it even more – the reds, oranges, the SHIMMERS! It was love at first sight.. apart from the price. Unfornately the exchange rate didn’t play in my favour, and I left Sephora empty handed. 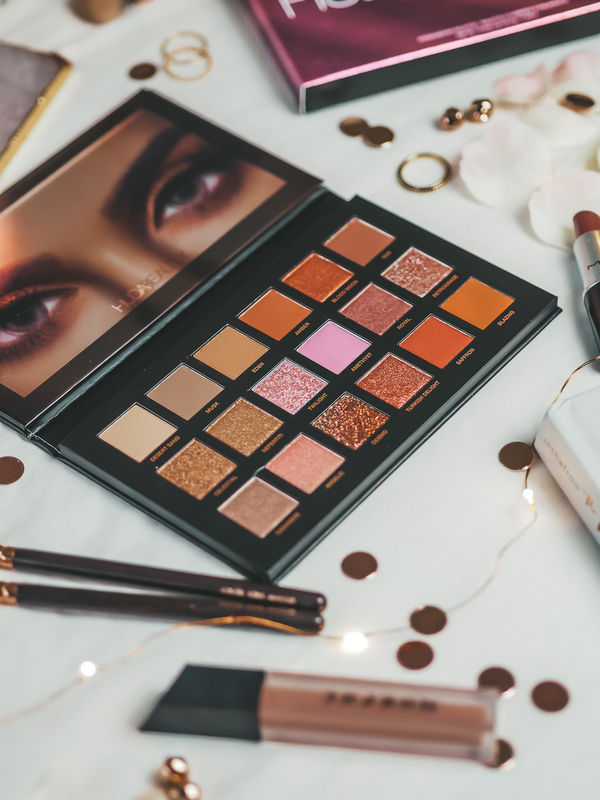 Time passed, and this palette was still at the top of my wishlist, so that’s exactly what I asked Santa for this year. Desert Dusk is an Arabian-inspired palette consisting of 18 beautiful shades. There are 8 mattes, 6 pressed pearls, 3 duo-chrome toppers and one pure glitter and boy they’re all a dream. The pressed pearls veer even more towards the reds, and deep pink and purples featuring shades like Royal, Turkish Delight and Blood Moon. The duo-chromes, which are undoubtedly my favourites to look at are Celestial, Twilight and Retrograde. A rose gold shade, a stunning blue/purple shade, and a dark gold and blue mix. Twilight really is something magical and I’m dying to work out how to make this shade work in a look! Finally, the pure glitter shade is Cosmo, a black shade with pink sparkly pigments. Desert Dusk is the first palette that’s a little bit different to the rest of my collection. It veers away from the orange and reds (although still does have these) and goes into the riskier, more playful territory of pink and purple shimmers. This is definitely going to be a palette that I just ‘try it and see’ with quite often. I’m not a make-up artist, and I’m not the best and applying make-up, but I enjoy it, so it’s what I’ll keep doing. Above is the first look I put together using Desert Dusk. 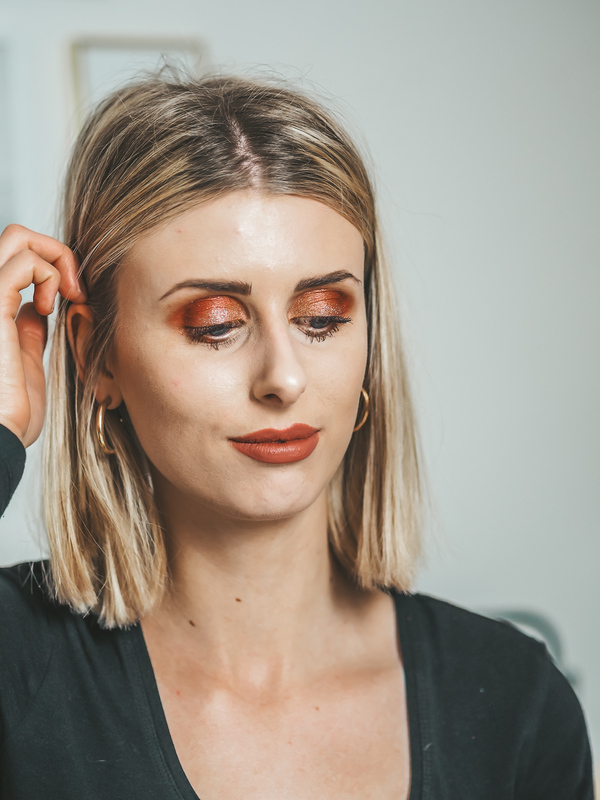 I used Eden and Amber in my crease, Celestial all over my lid, and some Turkish Delight in the outer edges of my lid, sticking with my safety net of orange and red tones. The quality of each shadow is amazing – pigmented and a dream to apply. I’ve struggled working with the glitter as of yet, but I think I’d put that down to my lack of knowledge and experience in applying make-up, not the shadow itself because on swatching it, it feels and looks beautiful. Admittedly this palette will probably suit darker skin tones best, but I do believe it could work for anyone. It’s certainly a palette which will be hard to beat! Have you tried Desert Dusk? 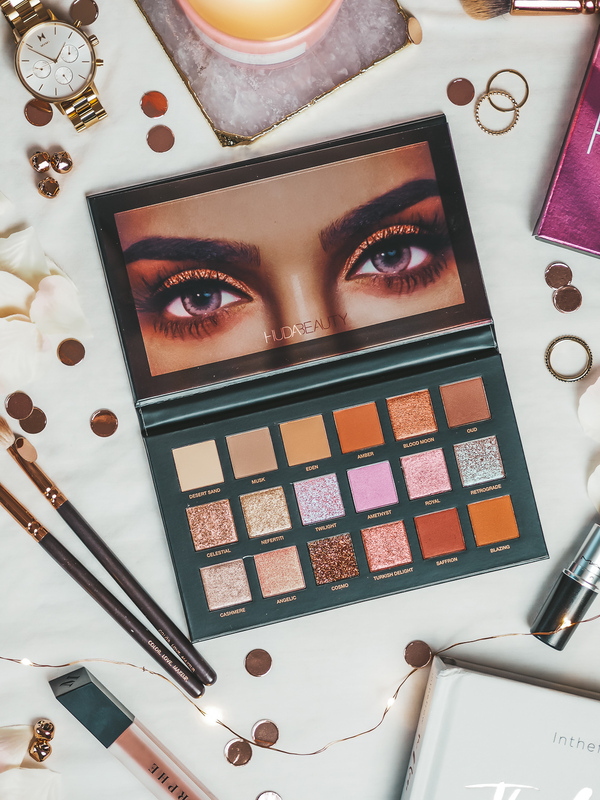 What’s your favourite palette? "Investing in quality jewellery with Missoma"